You can still save on Sonos speakers this Cyber Monday | What Hi-Fi? Good news. Pretty much all the Sonos speakers are still on offer this Cyber Monday. 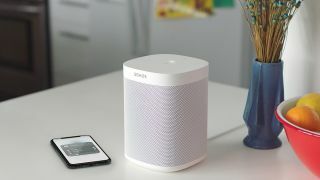 The Sonos One led the way, dropping to £165 over the Black Friday weekend, and it's available with a big discount today. But that's not all. Hunting around we've found offers on a whole host of Sonos products, including the Playbar and Playbase soundbars, as well as the company's new and old smart speakers. Check out all the best Cyber Monday Sonos deals below.